A house with the right glazing makes for a beautiful home filled with light. Nobody wants to spend time in a dark room! Windows create an inviting atmosphere in any room. They can even make us feel connected to the landscape outside. We’ll take a look at 10 homes with incredibly large windows! They flood homes with light and make the best of the views that surround. Let’s start our list and get inspired to live in the light! When it comes to windows, it’s often the more the merrier! This room is opened up almost entirely by the windows that surround. Sitting on the couch feels like sitting out in the garden because the spaces are so connected! The furniture in the room is arranged to bring the garden into the conversation. 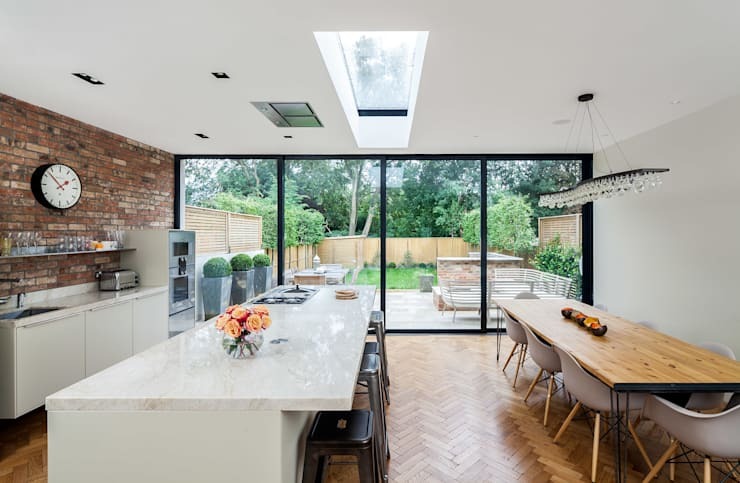 As if these windows weren’t enough, there are also slivers of skylights to brighten the home. Windows do more than bring light into our homes. They let us see the world outside. In this home, the kitchen and dining space feel connected to the garden and terrace. The windows create an illusion of greater space. We love how they bring the garden into the family’s everyday life. 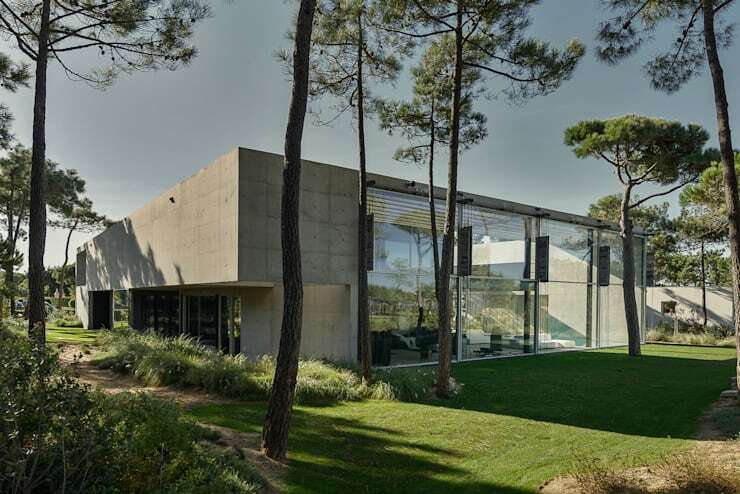 We love the beautiful contrast of concrete and glass in a home! Double height windows open up the private concrete home to the green lawn and garden outside. Light spills inside the home and warms up the cool concrete interiors. This home uses floor-to-ceiling windows to show a panoramic view of the landscape. There’s hardly a need for a tv in the room when you can look out at the rolling hills in the background. The natural light from the windows brings effortless grace to the design. 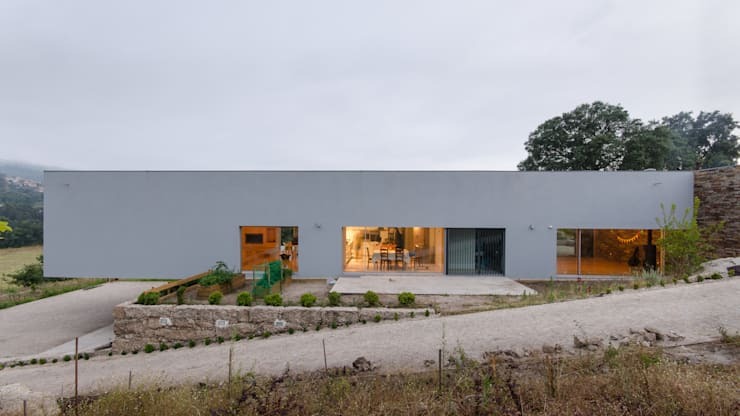 This simple home has a plain and featureless facade that emphasizes the large size of the windows. The architects made sure that the areas that needed the most light would get larger windows. The rooms and places where people gather have the best light. This way of thinking, designing a house from the inside out, is the kind of innovation we love to see! This is a remodeled Victorian house with a great kitchen. Windows that swing open like doors make up the back wall of the house. A skylight above the kitchen also helped to bring more light inside the dark home. The kitchen and dining area is a stunning space that blurs the line between indoor and outdoor living. We’ve seen some wonderful examples of modern windows so far! Let’s take a look at a slightly more traditional design. 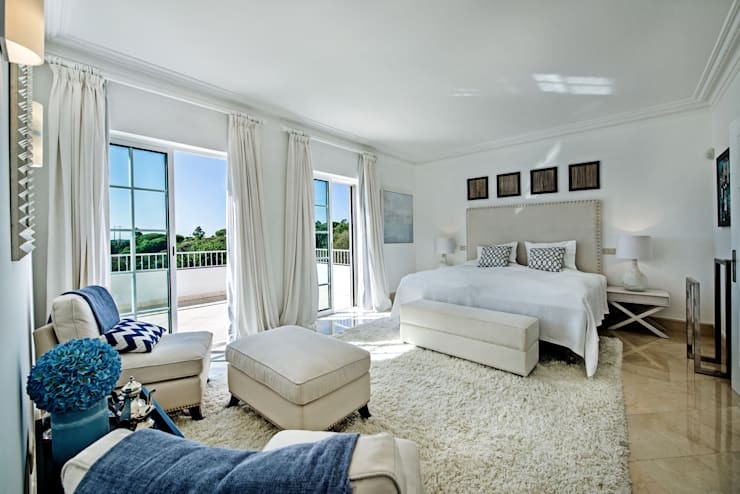 The windows connect this bedroom to the terrace outside that overlooks the lush landscape. Imagine opening these windows to let in the fresh breeze in the morning. Large windows aren’t reserved for bright and modern spaces. 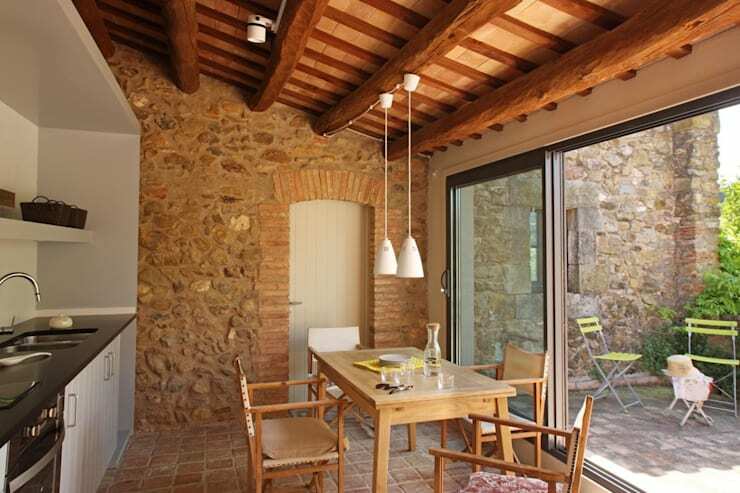 This rustic stone kitchen looks incredible with its massive window. 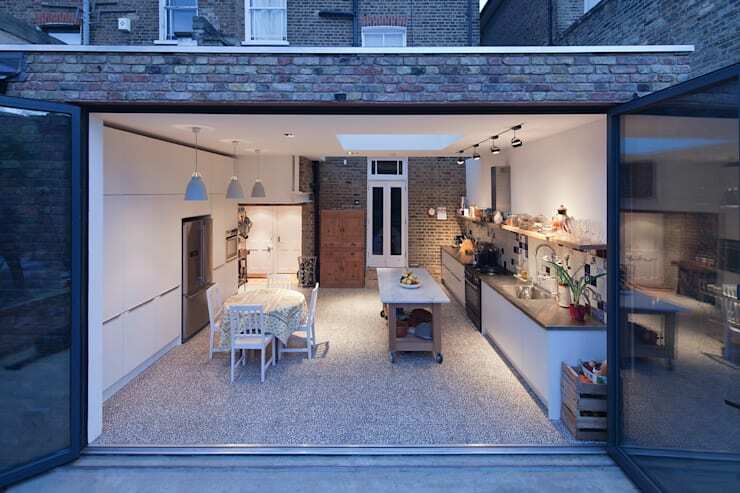 Windows integrated into an older house creates an unexpectedly beautiful home. 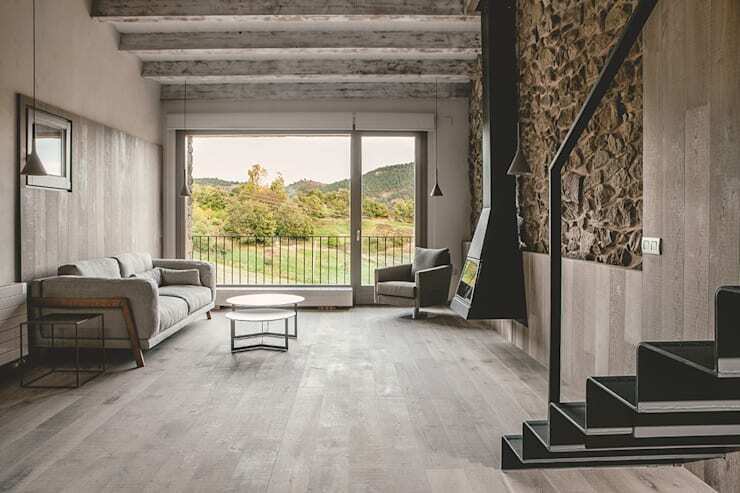 This house blends modern and rustic design into one seamless cozy home. The large windows help tie these looks together and they bring in a breathtaking view of nature. They frame the landscape outside so that it looks like a painting. Gorgeous! 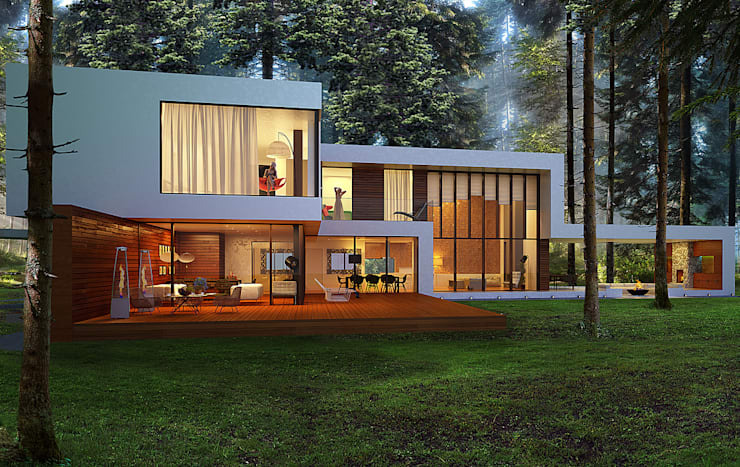 This modern home has geometric lines and that echo the shape of the trees in the surrounding forest. The facade of the home is made almost entirely of glass. It allows for the landscape to be the focal point of the home and maximizes the natural light coming in. This fully glazed wall creates a magical atmosphere. Thanks for taking a look at our list of 10 homes with incredible large windows! Let us know your thoughts the comments below. Want more home inspiration? Check out our feature on an eerily beautiful home amid the dunes that has some of the most unique windows we’ve ever seen. What home had the best windows?